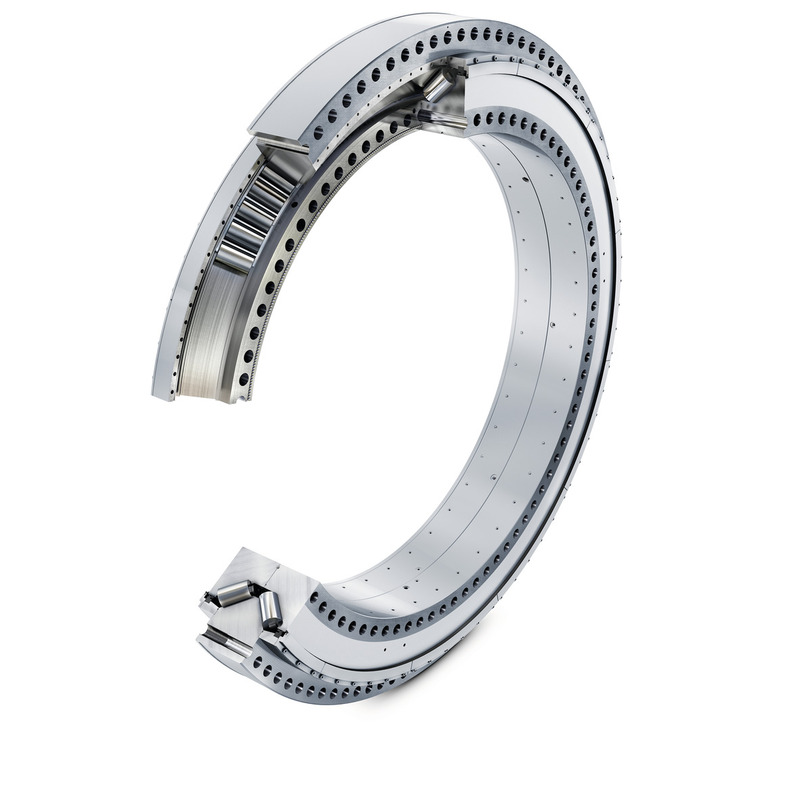 Schaeffler develops flange mounted bearings to support complex loads present in wind turbines. Schaeffler’s own large-sized bearing test rig, ASTRAIOS, contributed to the development of the flange-mounted tapered roller bearing unit. While rating life calculations from smaller rolling bearings transfer well to large-sized bearings, this is not so much the case for other parameters such as kinematics or frictional torque. Simulations in these areas must therefore be validated by test results. The measurements are fed back into the simulation models in a multi-stage process so that loads and the kinematic behaviour of a large-sized bearing can be calculated. If, for example, only deformation is calculated, then its effect on the function of the rolling bearing can be simulated and validated on the test rig.